The author of "The Secrets of Grindlewood", Jackie Burke, paid a visit to our school recently, during our annual Book Week. She spoke with a number of classes and they were all delighted with her visit. Teachers reported that they found her to be very interesting, entertaining and overall were very satisfied with the visit. I would recommend her to any school holding a Book Week or simply intending to invite an author to their school to speak with the pupils. Jackie came to visit our school, and she talked to 3rd class about her book Grindlewood. She gave some background information first, such as why she wrote the book and how the characters were developed. Then she read some pieces to the class. The children loved the story, and many of them went out and bought the book for themselves. Some were lucky enough to get it from Santa! They were very enthusiastic about Jackie’s visit and I would definitely recommend this to any school. 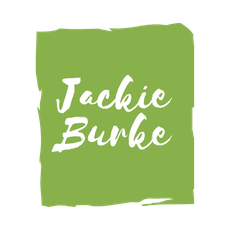 Jackie Burke's recent visit to our school was extremely successful and thoroughly enjoyed by all the pupils. She gave the children an insight into producing a book, from first draft to publication. She also explained how her book 'The Secrets of Grindlewood' evolved and where she got her inspiration for the charters and plot. The children were given an opportunity to ask questions at the end of the session. I would highly recommend a school visit from this very talented author. Jackie Burke came to visit Mount Anville Junior School Library shortly after the launch of her first book ‘The Secrets of Grindlewood’. The feedback amongst students and staff was marvellous - meeting a real author, having already seen and read her book in the library, was a very meaningful experience for the children. We have just purchased some copies of her new book ‘The Secret Scroll’ and the students are looking forward to Jackie visiting us again. I have no hesitation in recommending Jackie Burke to visit other schools and libraries. "You can't wait to read the next book, you want to keep turning the page." "I like how she used real animals as an inspiration for her characters." "Her book was interesting and full of suspense." "I liked how she gave the animal characters almost human qualities." "She holds your interest, the more questions the characters answer, the more there are to answer - lots of mystery." "She creates a magical landscape - very imaginative." In early spring 2014 Jackie Burke, author of 'The Secret of Grindlewood', visited our school. Jackie spoke to the boys in our Third and Fourth Form classes about writing a story, where her ideas came from, being an author and her book. The boys also enjoyed listening to Jackie read from her book. They had loads of interesting questions for her. A number of the boys read the book after her visit and thoroughly enjoyed it. A few weeks later, they were delighted when book 2 ‘The Secrets of Grindlewood: The Secret Scroll’ was released in late March. Contact Jackie to arrange a visit to your school or library.